The April 2015 Great Oklahoma Classic belongs to Lloyd and Eileen Swanson of Oklahoma City, Oklahoma. We met Lloyd and Eileen while attending the annual Del City Lions Club Car Show held each year at the DCL Country Western Hall of Fame 3925 Southeast 29th Street, Del City, Oklahoma. 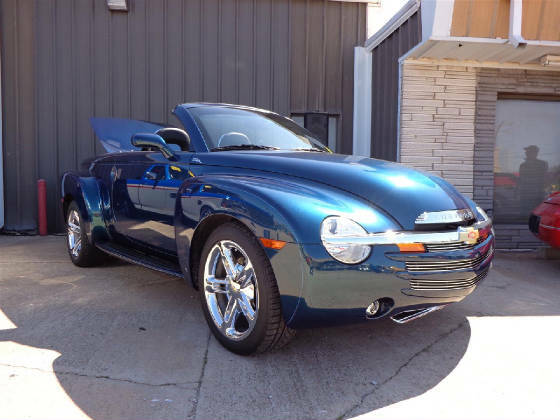 Their rare Chevrolet SSR really gets one "In The Mood" for some serious cruising! 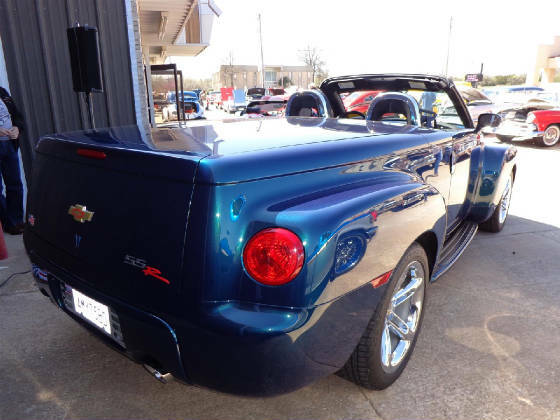 Lloyd and Eileen’s 2006 Chevrolet SSR was only made for a short time beginning in 2003. 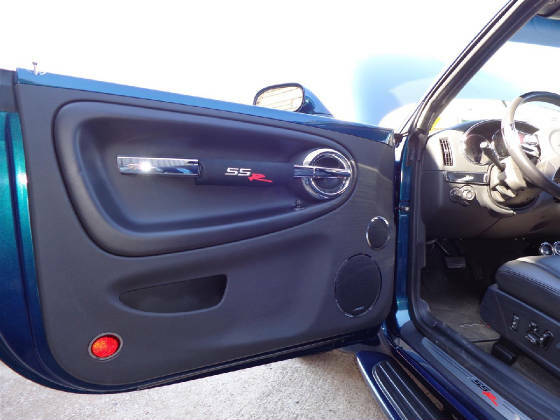 The last production run of this very unusual vehicle was the 2006 model year and this vehicle was produced on February 15, 2006. The Super Sport Roadster was produced in Lansing Michigan on the GM GMT368 platform. Only a little over 24,000 units were produced from 2003-2006. 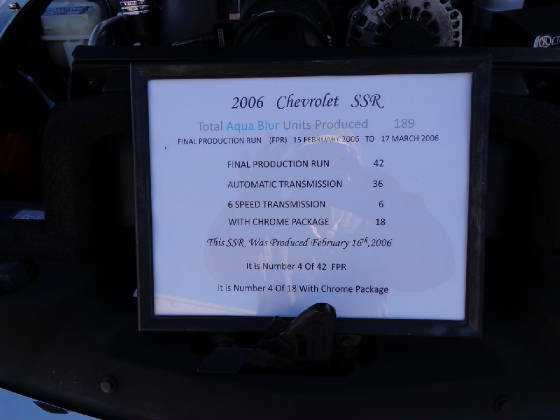 Lloyd’s SSR was built with the Corvette LS2 V8 engine that produced 400 horsepower and a big 400 pounds feet of torque. 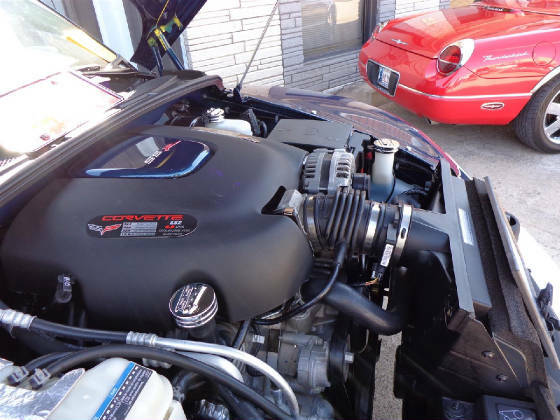 Lloyd recently attended a National SSR Meet and had the LS2 tuned for an additional 30 horsepower plus additional gasoline mileage. 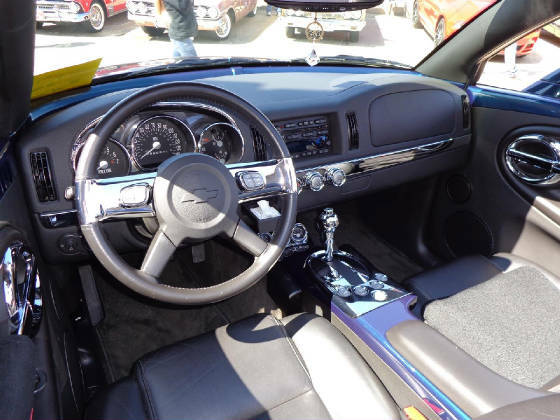 The power is applied to the rear wheels through a very smooth overdrive automatic transmission. 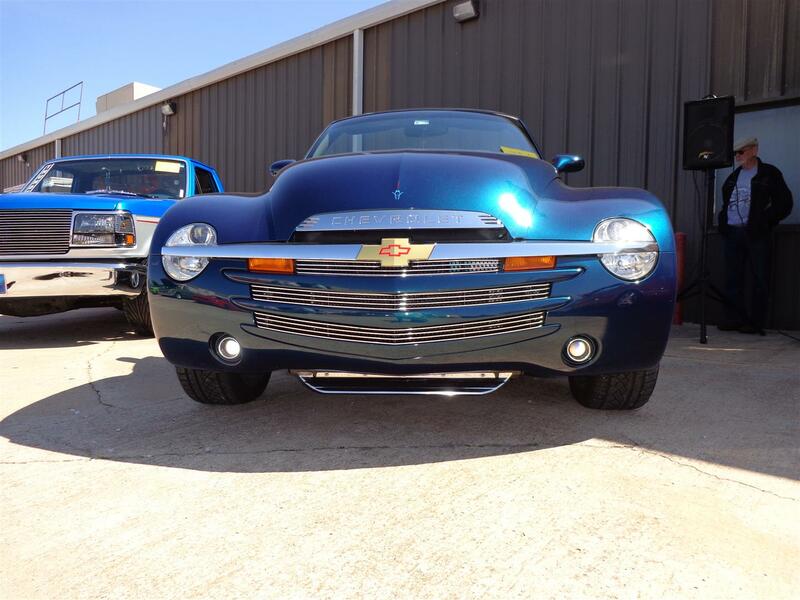 The convertible muscle truck rides on a pair of 19 inch wheels in the front and a pair of 20 inchers on the rear. Lloyd chose a set of Continental Extreme Contact tires to provide high traction for this unique classic vehicle. 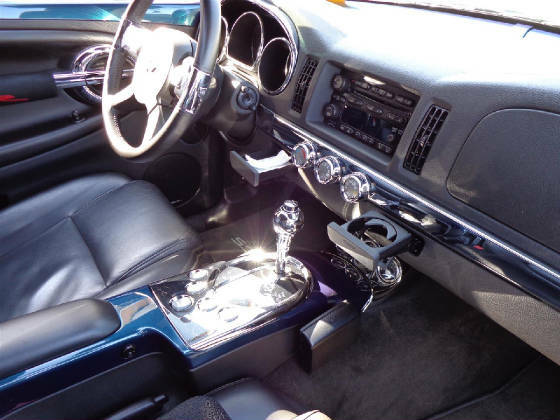 As you can see the interior has a factory chrome kit with luxurious power leather heated seats that along with gage package gives the SSR a real custom appearance. 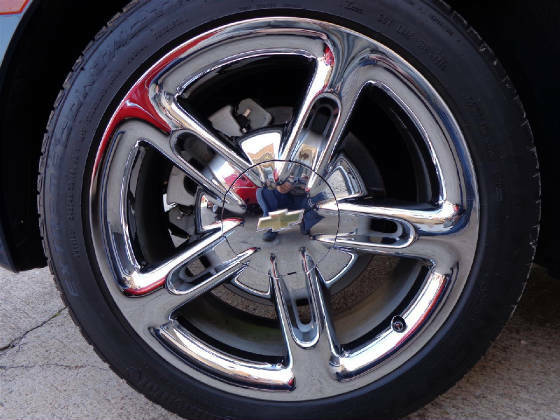 During the final product run only eighteen units were produce with this chrome package. 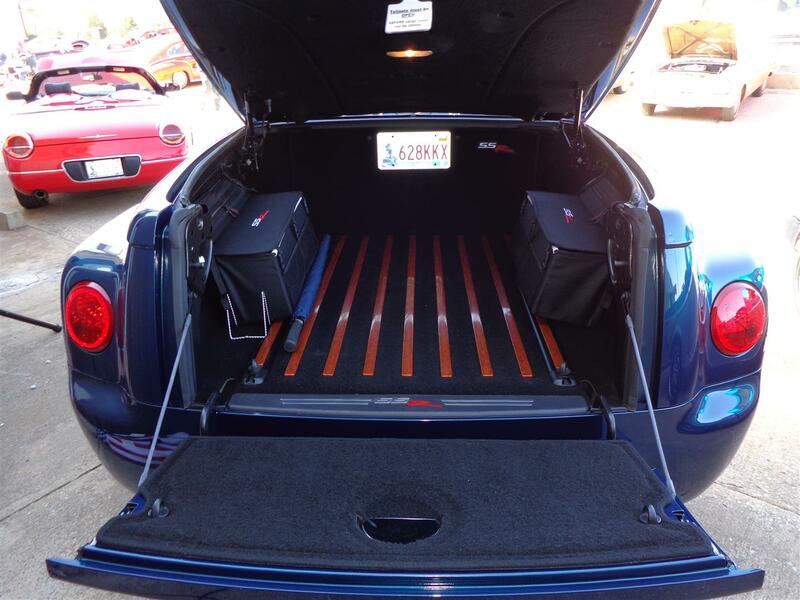 Note the carpeted bed liner with soft side saddle bags for added storage protection that give this rare SSR a very custom appearance inside and out! 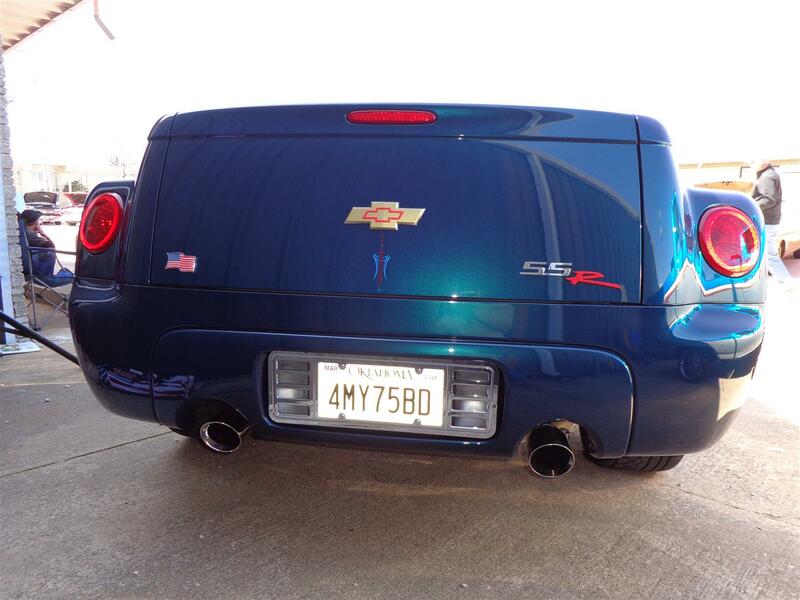 Lloyd purchased the SSR in Arizona in April of 2014 and it has only 24,000 miles on the vehicle. The unique color of the SSR is Aqua Blur Metallic. The beautiful color is not truly shown in the pictures due to the partial shade and sun light it was setting in during the photo session. Lloyd add an elegant pin stripe to the vehicle that really makes the paint job look custom, but the SSR has factory paint! 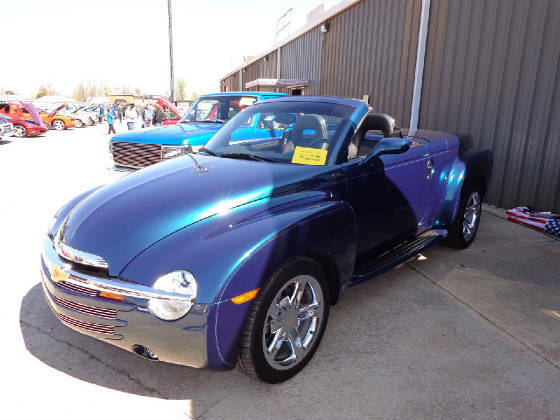 The Cimarron Starlite Cruisers sincerely appreciate Lloyd and Eileen Swanson for sharing their classic 2006 limited production Chevrolet SSR as our Great Oklahoma Classic for April 2015!